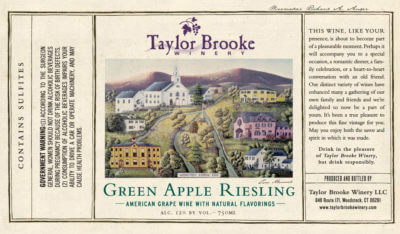 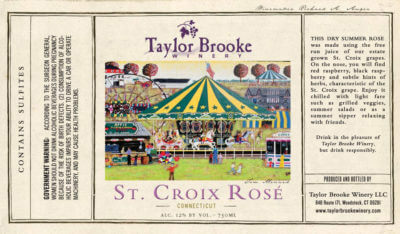 Taylor Brooke Green Apple Riesling - 750ml. 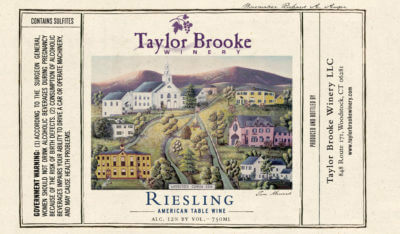 $14.99 We start with our 100% Riesling wine and add a natural green apple essence which produces a tantalizing balance of tart apple flavor with the slight acidity and firm character of the Riesling grape. 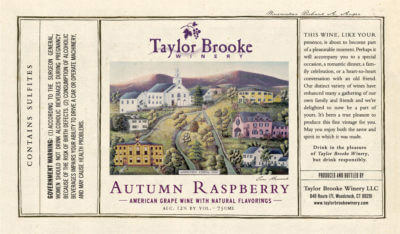 Cranberry Riesling - 750ml. 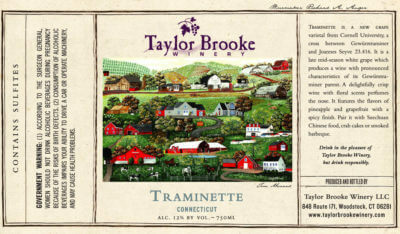 $14.99 Organic cranberries are fermented into wine and aged for 7 months before blending it with our Riesling wine. The Cranberry Riesling is tart on the front and dry on the finish. 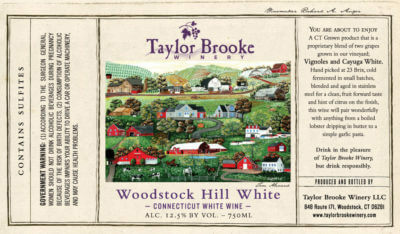 It is a must for Thanksgiving!